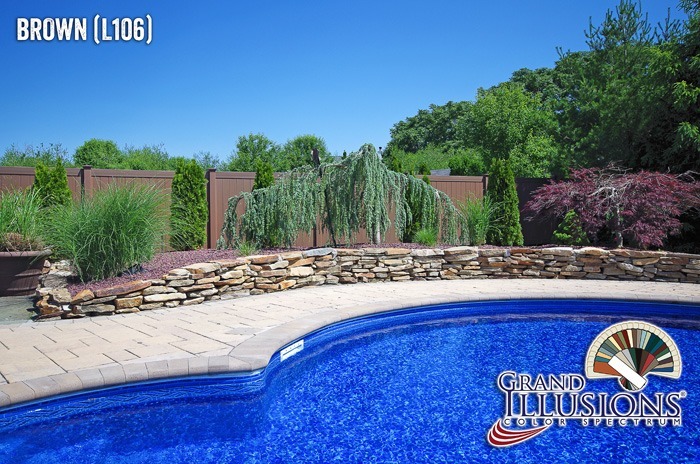 So you want a nice color pvc vinyl fence to go around your home’s perimeter, but still want a good old-fashioned ornamental metal pool fence too? 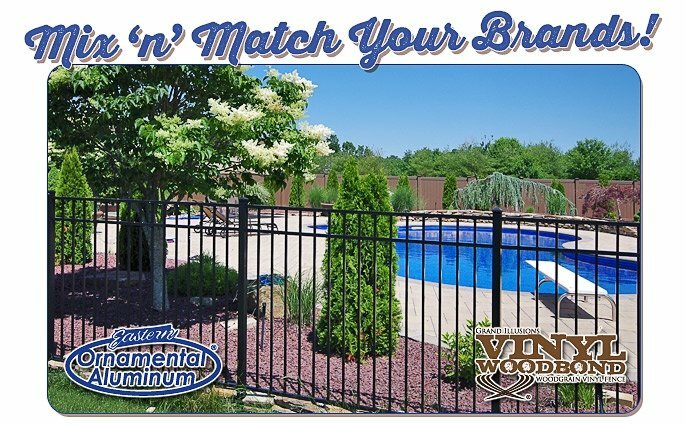 You have tons of the best fence brands to choose from. 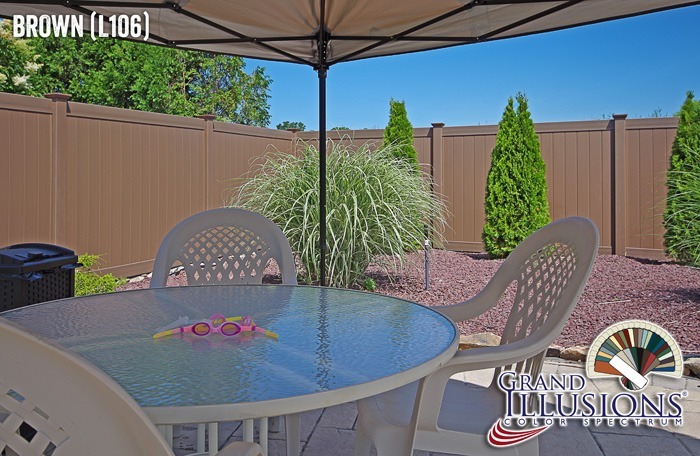 Illusions Vinyl Fence, Grand Illusions Color Spectrum color pvc vinyl fence, Grand Illusions Vinyl WoodBond woodgrain pvc fencing, Eastern Ornamental Fence, Eastern White Cedar wood fences, System21 and Eastern Chain Link, Illusions Vinyl Railing, and many more. All delivered in a timely and professional manner. 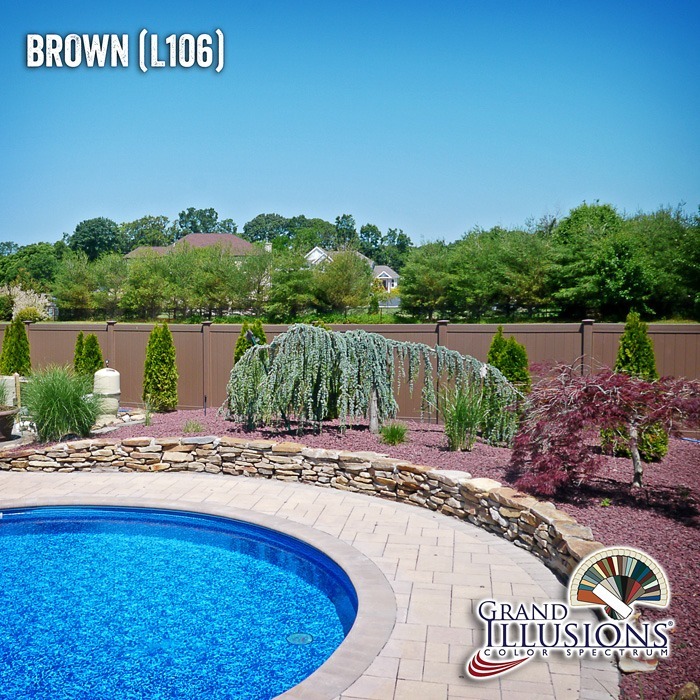 Shown here around the perimeter of the yard, you have a V300-6L106 tongue & groove vinyl privacy fence shown in Grand Illusions Color Spectrum Brown (L106). These fence panels are a stunning addition to any landscape on their own. 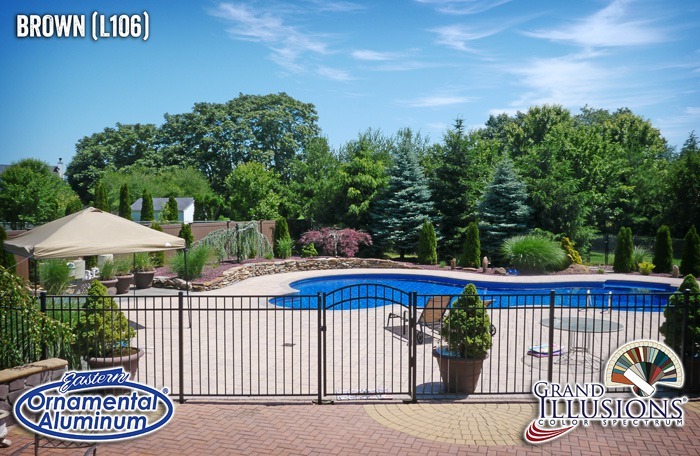 Now add the traditional wrought iron fence look of the Eastern Ornamental Fence’s EO54202-BK 54″ high pool fence with a 4′ wide accent gate. 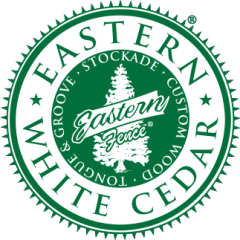 Just one of the many choices of fence gates at Eastern Ornamental Aluminum, for the perfect addition to any install. The vinyl fence reviews and metal fence reviews are in!!! The final results as you’ll see in these images are amazing. 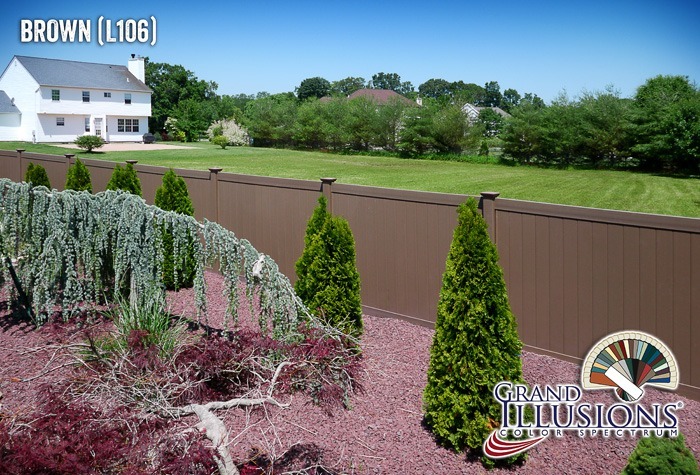 Who would have thought that fences could make such a beautiful difference in a yard? 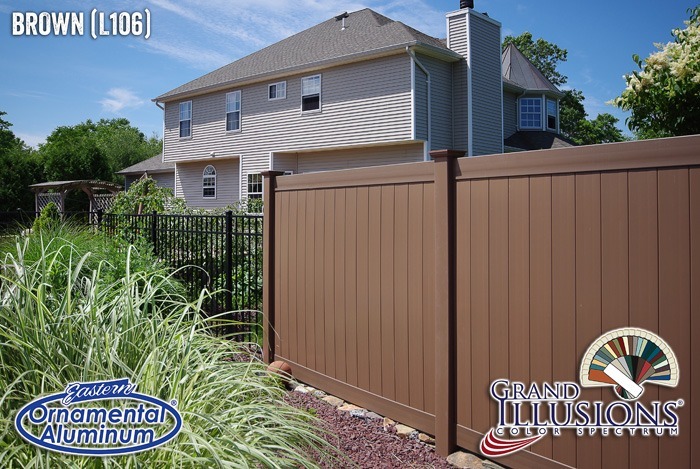 Make sure to ask your local fence company about Illusions Vinyl Fence and Eastern Ornamental Fence today! For more great images of Illusions Fences, check out the Photo Gallery.